2006 – Helios Airways announces that it will rebrand itself as ajet. 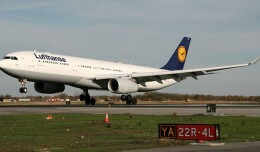 The Helios name had been tainted by a crash in October 2005 that killed 121 people. 1995 – NASA astronaut Norman Thagard becomes the first American to fly aboard a Russian space vehicle with the launch of Soyuz TM-21 to the Mir space station. 1995 – An Antonov An-24B cargo plane operated by Penza Air Enterprise is enroute from Yerevan, Armenia to Turkmanbav, Turkmenistan when it diverts to Baku, Azerbaijan due to low fuel. After air traffic controllers warn the plane that it is lined up to land on a closed runway, the plane performs a go-around, during which all four engines shut down, and the plane makes a crash landing. All 15 people onboard survive. 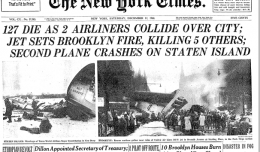 1980 – LOT Flight 7, an Ilyushin Il-62 (SP-LAA) flying from New York’s JFK Airport enters a steep dive and crashes while approaching Warsaw-Okecie Airport, killing all 87 people on board, including a contingent from the US Amateur Boxing Team. Investigators would blame the crash on an uncontained engine failure, which severed control pushers for the rudder and elevator. 1979 – A CAAC Hawker Siddeley Trident 2E (B-274), reportedly stolen by an unqualified pilot, crashes into a factory near Beijing, killing 44 people. 1972 – Sterling Airways Flight 296, a Sud Aviation Caravelle (OY-STL) enroute from Colombo, Sri Lanka to Copenhagen via Dubai, crashes into a mountain near Kalba, United Arab Emirates, killing all 112 people onboard. 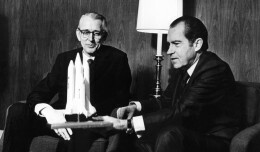 The crash is blamed on pilot error. While on approach to Dubai, the pilots descended more quickly than prescribed, either because they thought they were closer to Dubai than they really were or due to using outdated approach plates. 1961 – A US Air Force B-52 Stratofortress out of Mather Air Force Base, Calif., carrying two nuclear weapons crashes 15 miles west of Yuba City, Calif. 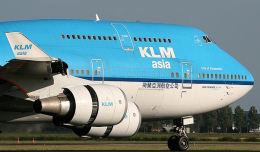 The plane had earlier suffered an uncontrolled decompression which forced the crew to fly at a lower altitude, which caused it to burn more fuel. 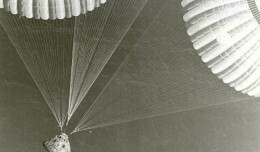 After a tanker failed to meet the bomber in time for a refuel, the engines stopped turning, the airmen bailed, and the unmanned plane went down. 1947 – Saudi Arabian Airlines begins flight operations. 1945 – The Royal Air Force uses the new 22,000 lb “Grand Slam” bomb against German targets for the first time. 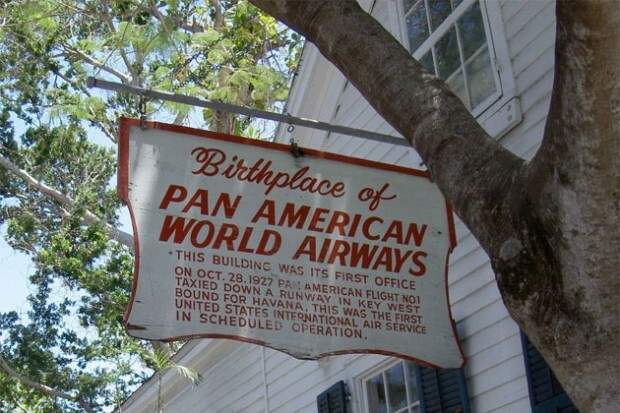 1927 – Pan American Airways is founded as an air mail hauler linking Key West and Havana. Flying would commence on October 19 of that year. 1885 – Raoul Lufbery, flying ace for both French Air Force and later the United States Army Air Force in World War I, is born in Chamalières, France.